Niranjana Anoop, who made her debut in Ranjith’s Loham, is back playing a prominent role in C/O Saira Banu, directed by debutant Antony Sony. Excited about playing a strong role in a movie where Manju Warrier plays the lead, Niranjana says she was not acting, rather learning on the sets of C/O Saira Banu. “I am excited to be sharing screen space with actors like Manju Warrier and Amala Akkineni. There is a lot an aspiring actor like me can learn from watching Manju Warrier and Amala in the movie,” says the actor who is paired opposite Shane Nigam. “I play Arundathi, a law student. She is a very bold and outspoken person. The movie itself is a female-centric subjects so my character naturally shares the same flavour,” says the actor. The actor says that though she was anxious how her performance would turn out amidst the veterans, she now feels so good. The young actor will also be seen in Puthanpanam, director Ranjith’s next starring Mammootty. 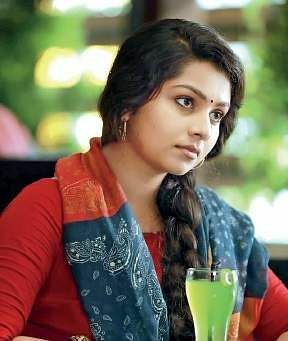 “I cant reveal much about the movie other than the fact that it is quite a lengthy role and I am familiar with the crew,” says Niranjana adding that she is very much indebted to director Ranjith for gifting her an acting career. “My career is his gift. It was he who gave me Loham. I just wanted to be part of the Puthanpanam and the character’s length and screen space is not important for me,” says Niranjana. She will join the sets on December 8 in Kochi. She also has a few days schedule in Goa.